You can use expenses to track out of pocket costs and other external costs that spend your budget. Expenses can be billable or non-billed. Between our customers we’ve typically seen two types of companies: those focused on timetracking (if it’s not tracked, it can’t be billed), and those focused on organizing, selling or reselling services or products (usually for a fee). Expenses is a feature that makes life easier for the second type. It allows you to bill expenses to your client automatically, and also track profit on. When do I want to use this? Let’s say you’re a marketing agency that runs advertising campaigns for your clients, and you want to forward those costs to your client. Let’s say you contract and charge freelancers for a fixed price that you want to also charge to your clients. Or let’s say you regularly have some expenses that you need reimbursed by your clients (like travel and hotel tickets). What’s the benefit of using this feature? You can track profit on the expenses. You can track when your expenses are due and if they are paid. 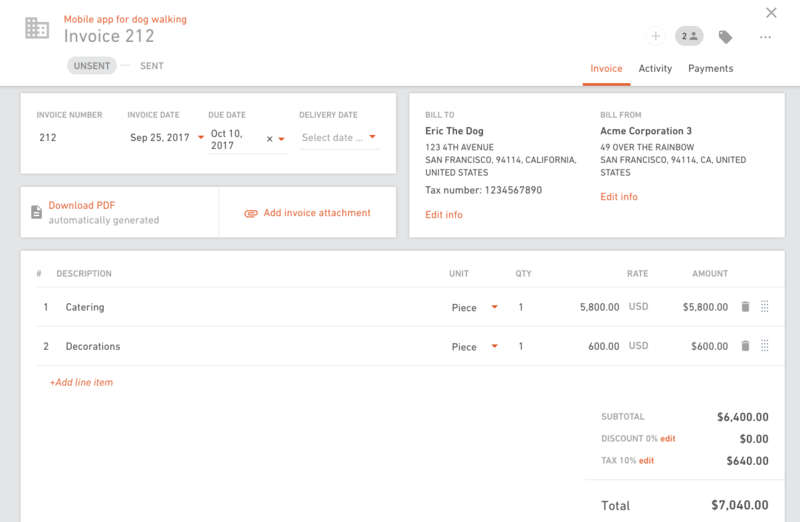 You can add expenses to an invoice automatically. 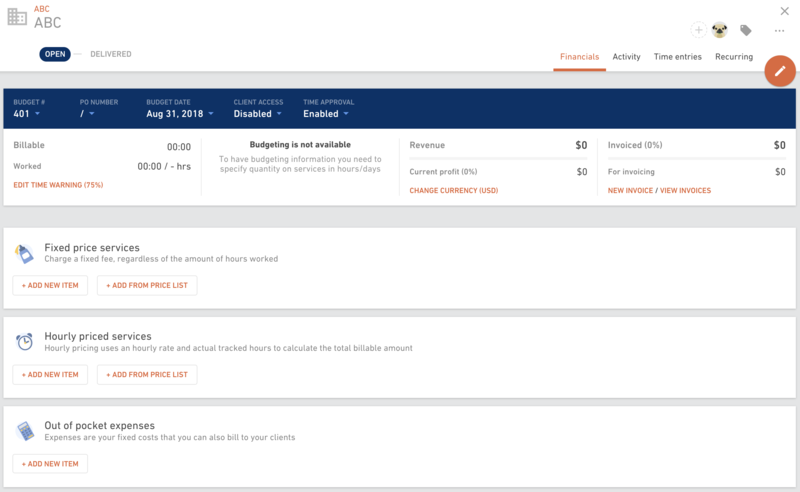 You don’t have to use time tracking model anymore to be able to see the profit on the budget. Of course, you can mix and match time tracking and expense models when it works for you. Open a new budget (or edit the one you already have open) and add financial information to it. Select Out of pocket expenses from the menu. Put down the service type and the description. You can also indicate when you need to pay this expense and when it’s been actually paid. The last part is the most important one - how much does this expense cost you and how much are you charging this to your client. 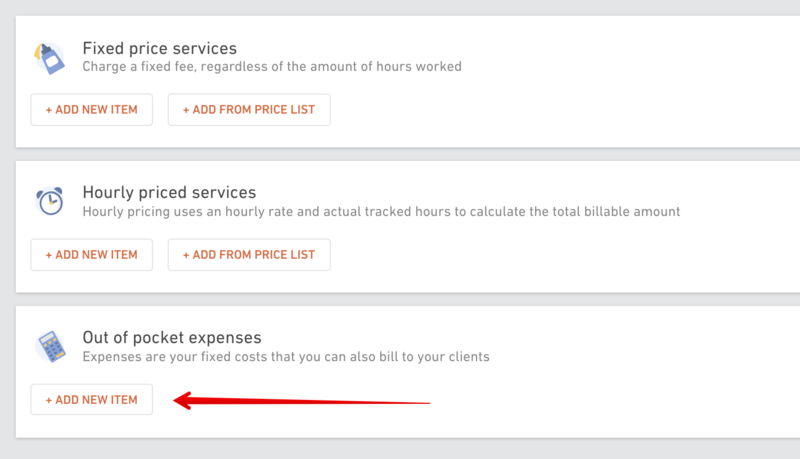 Put the checkmark next to all the expenses that you want to charge your client for. (you don’t have to charge them all to the client if you don’t want to). They will show up in the invoice automatically. Once you have your expenses set, you can see your profit and profit margin for this budget and whether the expenses are paid or due.